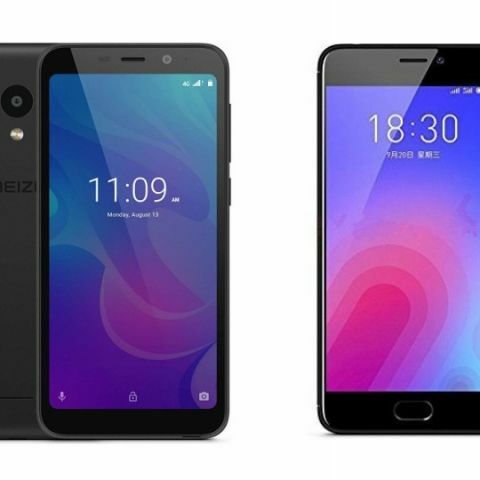 Meizu is mostly known for launching budget smartphones and the latest Meizu C9 is another affordable smartphone by the company. We are comparing the Meizu’s latest device C9 with the Meizu M6 to see what’s the difference? The Meizu has launched its C9 in India on December 5, which is exclusively available on Amazon for Rs 4,999. The smartphone comes with a 5.45-inch FHD+ display that supports face unlock as well. On the other hand, we have the Meizu M6 that was launched in 2017 at a starting price of Rs 5,490 in India. 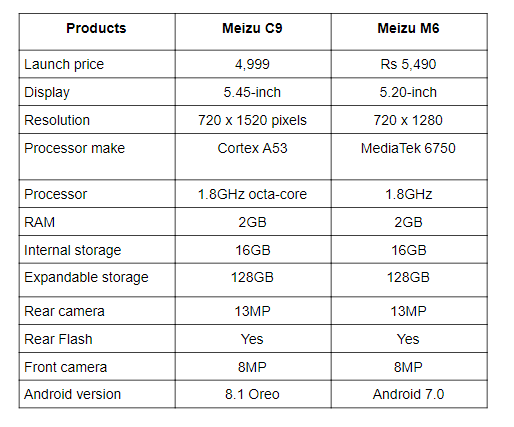 Let’s compare these two devices to see what’s new the company has to offer with its latest C9 in compared to the Meizu M6. The Meizu C9 features a 5.45-inch display that offers a resolution of 720 x 1520 pixels. On the other hand, the Meizu M6 sports a slightly smaller 5.2-inch display that offers a resolution of 720 x 1280 pixels. The Meizu C9 not only have a bigger screen but its panel also has a better resolution to offer. The Meizu C9 is powered by a Cortex A53 octa-core processor, which is paired with 2GB RAM and 16GB internal memory. On the other hand, the Meizu M9 is backed by a MediaTek 6750 octa-core processor. The device packs 2GB RAM and 16GB internal memory same as the Meizu C9. Both the device storage is expandable to up to 128GB via a microSD card. Both Meizu C9 and Meizu M6 comes with a 13MP sensor at the back with an 8MP unit on the front. The Meizu C9 is available on Amazon for Rs 4,999, while you can get the Meizu M6 in India for Rs 5,490.